Nintendo's new Wii U console had a tough holiday launch, and its 3DS handheld continues to struggle. The Japanese game maker on Wednesday slashed its sales target for its new flagship game console by 27 percent, just months after it went on sale around the world. Nintendo had set a goal of selling 5.5 million units through March, the end of its fiscal year, but now aims for 4 million. Nintendo also lowered its expectations for the handheld 3DS, which has struggled to maintain momentum despite price cuts and a push to flood the market with appealing game titles. The company cut its target for the device to 15 million this fiscal year, down from the 17.5 million it predicted in October. That is the second cut this year - Nintendo originally aimed for 18.5 million devices. The Kyoto-based firm said it sold just over 3 million Wii U consoles worldwide from its launch in November through the end of the year. Nintendo had said it was pleased with the launch and the console initially sold out, but stocks have since recovered. The sales numbers, released as part of Nintendo's earnings for the October-December quarter, offer a first glimpse at how gamers feel about the Wii U. The company has bet heavily on the successor to the Wii, one of its most successful products ever. Nintendo said the poor sales will likely hurt its results for the fiscal year, cutting its revenue target by 17.3 percent to $7.4 billion and saying it now expects to fall into the red for operating profit. The company still targets a net profit, due in part to the fall in the yen versus foreign currencies, which can boost the effect of profits booked abroad. For the first nine months of the current fiscal year, Nintendo said revenue slipped slightly compared to a year ago, while it booked a smaller operating loss and net profit recovered to 14.5 billion yen, up from a 48.3 billion yen loss in the year-earlier period. The company hopes to woo consumers with the Wii U's "GamePad" controller, which is similar to a full-fledged tablet in itself, with a touchscreen, motion detection, camera and stylus. Its small screen can be used to supplement games played on a larger TV, or serve as the main display. 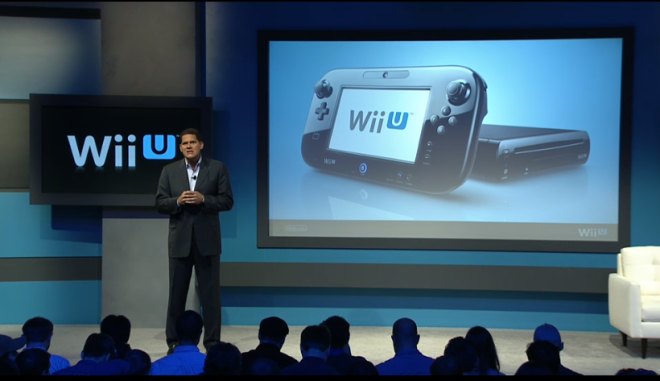 The Wii U also acts as a home entertainment center, with access to streaming video services from providers like Amazon and Netflix, similar to rival game consoles from Sony and Microsoft. The company has also launched a social network around gaming, the "Miiverse," which allows players to interact online via their "Mii" avatars.